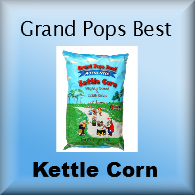 Store Home > Grand Pops Best Kettle Corn, 11 oz. 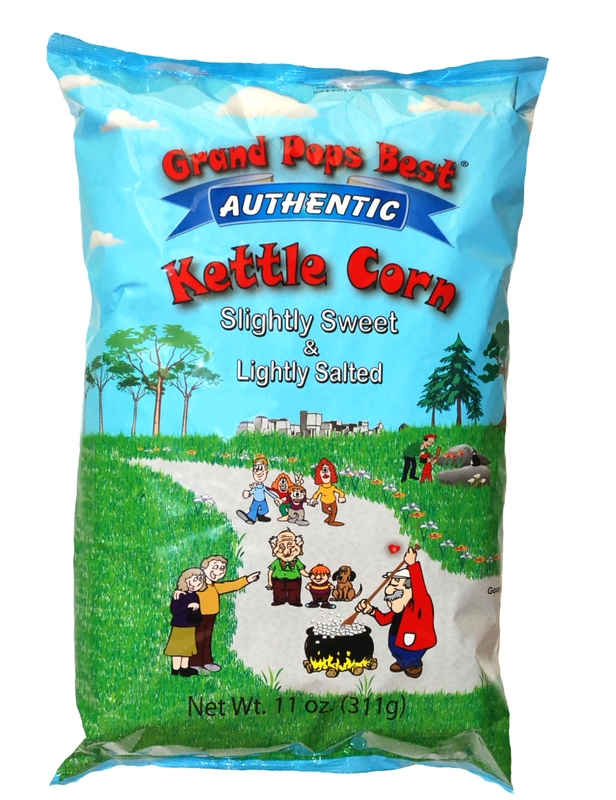 Grand Pops is the absolute best natural Kettle Corn on the market today. Taste drive some for yourself today! 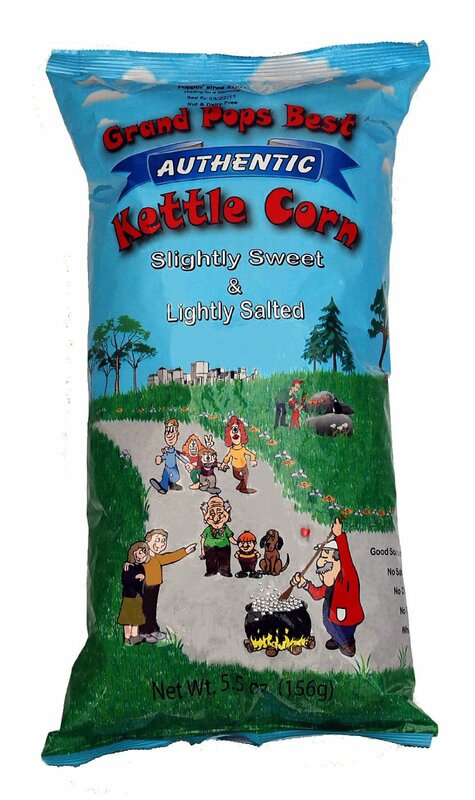 We recommend you get three 11 ounce bags at a time as one just will not last you long enough - it really is that good! Grand Pops's plant is nut, gluten, soy and dairy free. Three 11-ounce bags are 15.99. 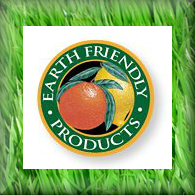 Cases of twelve 11-ounce bags are also available at a 10% discount. 10.5" x 4" x 13.5". You may freeze popcorn to maintain freshness and thaw at room temperature. Unfrozen, it remains fresh up to 100 days. 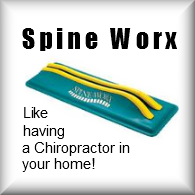 For more information on Aireox, click here.